There are many architectural wonders around the world that evoke feelings of fascination and awe. Buildings steeped in history and mystery with unexplained origins, developments futuristically designed beyond the ‘state of the art’, and others that are simply works of immense beauty. In Sotogrande on the southern shores of Spain there are developments of architectural excellence, both completed and under construction, that fall into the jaw dropping property category. Here master builders and landscapers are once again creating real estate that has been conceptualised and designed to astonishing degrees. As featured in a recent article in the UK’s Telegraph newspaper, Sotogrande has become a haven of remarkable residential areas that feature homes designed to exceed the high demands and expectations of the wealthy. 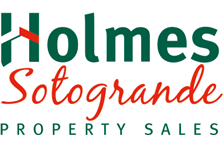 Sotogrande is a large privately owned estate located in an area of beautiful Andalusian countryside a short distance from the shores of the Mediterranean Sea. It was established over fifty years ago and has become a special location in many ways: Sotogrande became the first home for the sport of polo in continental Europe and was a successful host of golf’s Ryder cup in 1997. A pivotal development within Sotogrande is La Reserva, a luxurious community based estate where residents can enjoy privacy, space and every modern amenity dreams can imagine in large opulent villas. La Reserva’s incredible centrepiece is the recently completed The Beach —Spain’s only private beach resort and a handmade oasis that comprises a lagoon style pool, water sports lake and divine sandy beaches surrounded by olive groves. Sotogrande literally has ‘brought the beach to the mountain’ as stated by Sotogrande’s CEO Marc Topiol in the Telegraph article, who describes how the The Beach was created as a private paradise for residents. In even grander and more wondrous terms the groundwork for The Seven, a new Sotogrande residential area, is also taking shape. Construction has begun for seven of the most extraordinary properties that have ever been built in Spain. 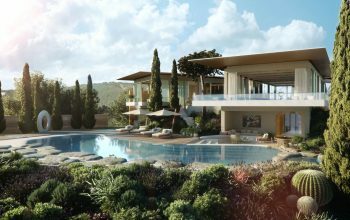 The Seven is a reference to the term ‘seventh heaven’ as these will not only be unbelievable villas but they will also be set in the magnificent landscape of Sotogrande, on a hilltop and facing the sea. Each of the villas has been designed by a world renowned architectural practice that includes Studio MK27 from Brazil, Holland’s UNStudio and Gumuchdjian Architects from London. The vision for Sotogrande was to create a private residential area that could compare with the most prestigious of European real estate, like La Zagaleta in Marbella and the Algarve’s Quinta do Lago. It is arguable that they will actually exceed these dreams.